The new Malaysian owners of Group Lotus said they have no plans to sell the UK sports car maker despite the suspension of Lotus CEO Dany Bahar. Bahar's suspension, announced on Friday, fueled fears that DRB-Hicom is preparing to sell the money-losing brand. DRB-Hicom bought Proton, the Malaysian parent company of Lotus, in January. Proton issued a statement on Monday saying that DRB-Hicom is not considering a sale of Lotus. "We acknowledge that Lotus can provide value to Proton. Lotus is an iconic brand with global presence and positioning, coupled with unsurpassed engineering expertise and a talented work force," Proton said. Bahar has been temporarily suspended to facilitate an investigation into a complaint about his conduct made by DRB-Hicom, the statement said, without specifying details of the complaint. 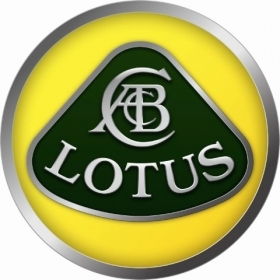 Proton and DRB-Hicom are reviewing existing business plans and finances of all Lotus Group companies, it added. Bahar, a former Ferrari sales chief, joined Lotus in 2009 with ambitious plans to launch new products and quadruple annual car sales to 8,000. "Dany Bahar was the key player behind the turnaround plan for Lotus," said Alexander Chia, an analyst at RHB Capital. "If he is cleared, it would indicate that the management is happy to continue bankrolling Lotus. If he ends up out, there will be a lot of uncertainty on where Lotus goes from here." A Chinese buyer and an investment fund have been touted in media reports as potential buyers of Lotus. Shanghai Automotive Industry Corp. has denied it is interested in acquiring the carmaker. Lotus has hung on to relevance in the auto industry partly because of its decades-long expertise in designing lightweight frames. DRB-Hicom, controlled by billionaire Syed Mokhtar Al-Bukhary, gained Lotus after it acquired a majority stake in Proton. The new owners have hired consultants KPMG to evaluate Lotus, a person familiar with the matter said last month. DRB said in March that it may sell Lotus if it doesn't meet performance targets and a decision will be made after a thorough evaluation. Other options include changing the management at Lotus or its business approach, Managing Director Mohd Khamil Jamil said then.